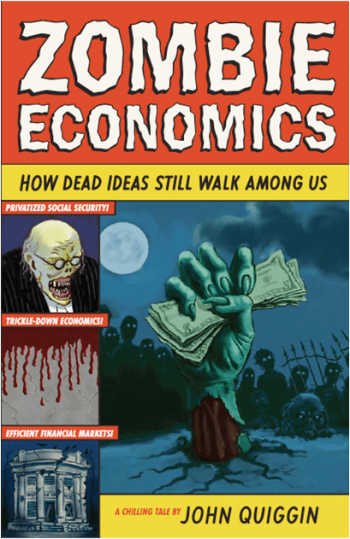 Read Brian Sloboda’s review of Zombie Economics by John Quiggen. If you are interested in reviewing a book, or are a publisher and wish to provide SGE with review copies, please contact books@sge-econ.org. In the business world, imitation gets a bad rap. We see imitating firms as “me too” players forced to copy because they have nothing original to offer. In Copycats, Oded Shenkar challenges this viewpoint. He reveals how imitation—the exact or broad-brushed copying of an innovation—is as critical to prosperity as innovation. Shenkar shows how savvy imitators generate huge profits and how they avoid costly errors by observing and learning from other’s trials. He will present suggestions for making imitation a core element in your competitive strategy and pairing it powerfully with innovation. You are currently browsing the The Society of Government Economists blog archives	for February, 2011.